A critical set of issues for the mediator revolve around the issue of capacity and power. Specifically, does the mediator either purposefully or necessarily impact participant capacity and, if so, how does the mediator do this consistent with the duty to be impartial? Does the mediator accept participants as they walk in (often at their worst) or can the mediator work with participants to be at their best? Further, what is the mediator to do about power differential between participants? Can the mediator justify assisting those who need assistance and, if so, how? This article suggests that the adoption of a maximizing mediation approach by the mediator in these contexts is both permissible and welcome. It is suggested that there are no barriers to mediators moving beyond the world of barely sufficient processes and barely sufficient results to stimulate most capable processes and maximized results. In considering this proposition, let us first think about what we mean by "maximization" and the extent to which maximization may exist in various processes. As a placeholder, let's assume that "maximization" has something to do with assisting participants: (1) to be at their personal best; (2) to most capably jointly problem-solve (to the extent possible); and (3) to each obtain the greatest possible substantive satisfaction. In this rather global context, it is important that "maximization" be understood as a permitted aspirational goal, not a minimum standard for mediators. Maximization is a goal that we will never fully achieve, but it is perhaps still worth steadily reaching for. It may be the guiding light for realizing mediation's potential. Maximization takes "empowerment" to the "nth" degree. Rather than empower a bit, or some, or comparably to the other party, or balance power, maximization suggests that perhaps the only way one can really empower participants consistent with the mediator's duty to be impartial is for the mediator to maximally assist each participant at all points in time. Anything less than such complete devotion to each participant may mean that a mediator is playing favorites by withholding support. It should be immediately noted that participants will have different personal needs and different ideas about the process and substantive interests that they would like satisfied. One participant may want to "maximize" by getting the matter over as quickly and cheaply as possible. The other may have interest in taking whatever time is necessary to talk about relational issues and to ensure that they do not make any foolish decisions. The goal for the mediator is to seek to maximimally assist each participant to the greatest extent possible, knowing that the results achieved will almost by definition be imperfect. The results may be "compromised," but we still want them to be as good as they can be! It is not for the mediator to impose the process qualities and substantive outcomes to be maximized, but, rather, for the mediator to elicit these from the participants, through questionnaires, briefs, opening statements and ongoing conversation. 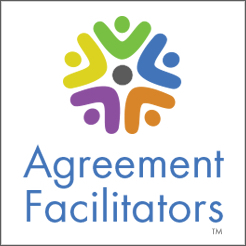 The mediator's goal may be to identify most capable ways of working with each participant and with all of them to achieve as much satisfaction as possible. One of the implications of a concept of maximization is that mediation becomes a passionate endeavor. Mediators are no longer neutral nor removed from what the participants want to accomplish. We are passionate about assisting participants to both be at their best and to get as much of what they want as possible. Concepts of maximization are realistically absent in the adjudicatory (court) context. Adjudication is not, after all, focused upon determining truth and fairly applying the law. Adjudication is win/lose by nature. Competitive adjudicatory assumptions and behaviors are at odds with people being at their problem-solving best and finding most capable and satisfying solutions. While there are maximizing potentials in negotiation, unassisted negotiators commonly have a hard time even sitting in the same room with one another much less directly engaging in maximized problem-solving. Disputants are commonly distracted by their emotion and righteousness and the perceived need to immediately respond. And so we arrive at the proposition that, if maximization is to happen in dispute resolution, it will perhaps only and best happen through mediation. The basic qualities of adjudication are adversarial. Unassisted disputants can not reasonably be expected to engage in maximization on their own. In mediation, participants have their best opportunity for maximization of individual and joint capacity as well as substantive satisfaction. Mediators make many choices, including such things as where to mediate, whether to mediate in one or more meetings, what to do between meetings, whether to caucus, whether to give homework, whether to assist participants to be personally more effective, whether to assist in developing options, whether to use the Internet, whether to suggest valuable resources, etc. How do we make these decisions? What is our ultimate guiding light? Maximization may be the answer. 2. Empower so as to equalize or balance power between participants. 4. Embrace empowerment and carry it to the fullest extent of "maximization." With regard to the first option, it is suggested that "no influence" is really not an option, but an illusion. It is suggested that participants read the mediator's every response and action in assessing their best next negotiation move. Participant interpretation of mediator impressions and commentary dramatically impact their perceptions of their own power and their resulting behavior and choices. It is suggested that it is impossible for the mediator to not influence participants in such a focused and all embracing negotiation environment. So, if the mediator can not avoid influencing the participants negotiation system (Isn't that really our job to positively influence this system? ), how does the mediator organize his or her thinking about the issue of empowerment and power differential? Two other available approaches are to "balance power" or "comparably empower." Examination of these approaches also finds, however, fatal flaws. With regard to the possibility of organizing one's thinking around the concept of equalizing or balancing power ("leveling the playing field"), how can this possibly be done consistent with the mediator's duty to be impartial? If one participant is "stronger" than the other, and the goal is to balance power, how can the mediator so "balance" consistent with their duty to be impartial? There are two basic balancing options: one can assist the stronger participant to be weaker (through "heat") or the weaker participant to be stronger (with "empowerment"). How can one possibly so seek to balance power consistent with a duty to be impartial? The answer is that one can not! Any power balancing or "leveling of the playing field" inevitably involves assisting one participant to the disadvantage of the other and this is inconsistent with the mediator's duty to be impartial. Now let us consider the possibility of empowering participants "comparably." So, as an illustration, if we were to give "10 units" of empowerment (or "heat") to one side, we would then need to give a comparable amount (10 units) of empowerment (or "heat") to the other side. The problem with this approach is that the assistance that one party desires or needs is not the same as that the other needs. A mediator who is focused on treating parties "comparably" is in the position of playing "god" by turning "on" and "off" mediative "help" and "heat" faucets based upon perceptions of what the mediator has done for or to each party lately. So, we are left to consider a theory of maximization in the context of a number of other approaches that are imperfect, if not highly problematic. The suggestion here is that mediators can not but help influence the negotiation system and each participant in that system. In that power balancing or comparable assistance suggest that the mediator is focused on the relative assistance given to participants (is one stronger than the other or have I helped them comparably), it is suggested that these approaches are distracting and dysfunctional. In each case, we fail to appreciate the opportunity to maximally assist each participant to most capably consider the situation and their options. If our goal is power balancing or comparable treatment, we rob ourselves and participants of the opportunity for maximized assistance for all. So, how does a concept of maximization deal with the mediator's duty to be impartial? The answer is that it is in the mediator's complete devotion (at all points in time) to fully assist each participant that impartiality is reconciled. We are able to justify "helping the weaker side" because we are ever focused on helping each side to the fullest degree possible. It is in our complete commitment that we are impartial. So, for reasons that pretending we don't influence the system is unrealistic; power balancing is a violation of our duty to be impartial; and comparable treatment has us playing god with "help" and "heat," consider maximizing mediation. Our helping participants to be at their best and to reach best results can be the heart and future of mediation. Jim Melamed co-founded Mediate.com in 1996 and has served as CEO of Mediate.com ever since. 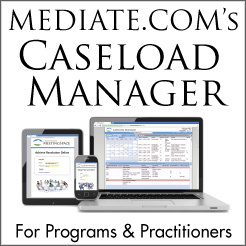 Mediate.com received the American Bar Association's 2010 Institutional Problem Solver Award. Before Mediate.com, Jim founded The Mediation Center in Eugene, Oregon in 1983 and served as Executive Director of the Academy of Family Mediators (AFM) from 1987 to 1993. Jim was also the first President and Executive Director of the Oregon Mediation Association (1985-86). Jim's undergraduate degree is in in psychology from Stanford University and his law degree is from the University of Oregon. Jim has received the following awards: The Oregon Mediation Association's 2003 Award for Excellence; The Oregon State Bar's 2006 Sidney Lezak Award of Excellence; The Association for Conflict Resolution (ACR) 2007 John Haynes Distinguished Mediator Award; The 2012 Academy of Professional Family Mediators (APFM) "Getting To Yes" Award; and The APFM's first APFM Outstanding Mediator Award (2018).